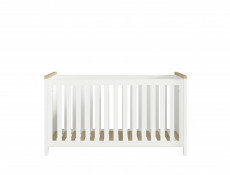 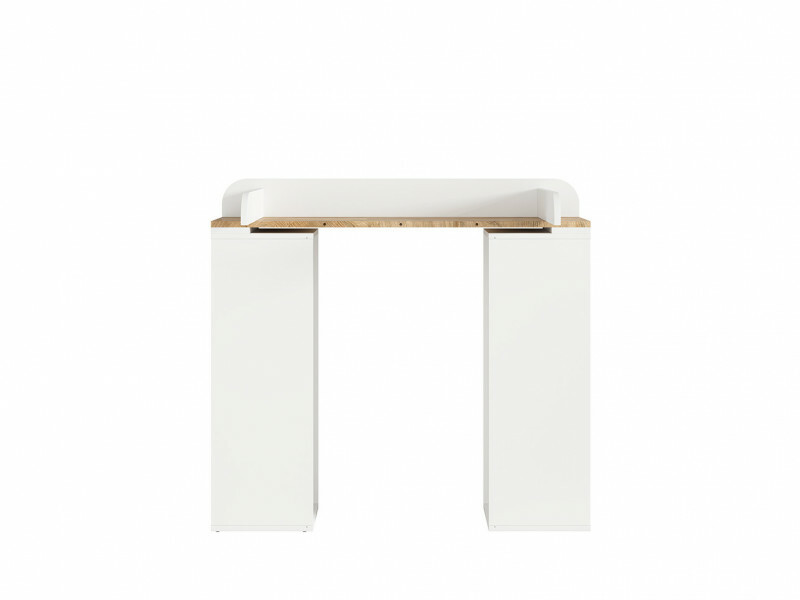 Modern country style two-tone baby changing table from the Dreviso Baby collection in White and Oak finish, featuring open side shelves. 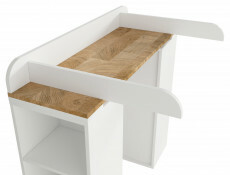 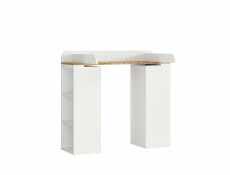 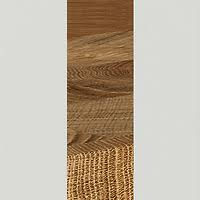 The rustic wood effect, along with white body offers a unique, trendy look! NOTE! 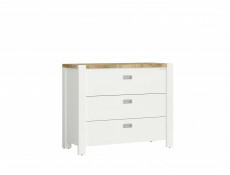 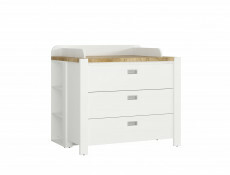 To assemble and use this changing table, it is necessary to purchase a Dreviso Baby chest of drawers / dresser.